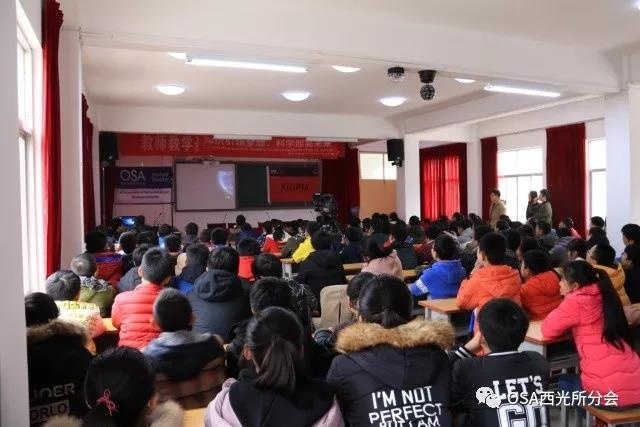 On 15th Dec. 2017, scientific popularization team of the student chapter went to Huiyuan Middle school of Zhenan county, Shaanxi province. This is the third scientific outreach lecture, the theme is “Knowledge heralds dreams, science lights the future minds”, there were 150 students and teachers from the 7th grade participating the lecture. There were 6 members including Xingfeng Wang, Meiling Chen, Lili Li, Zhongling Ruan, Chaomeng Kang and Liang Han. 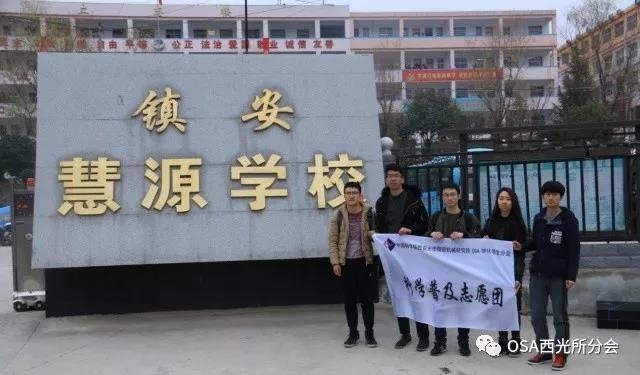 The team set off from the institute at 8 a.m., after 3 hour’s journey, they arrived in Zhenan county, Shangluo city, Shaanxi province. 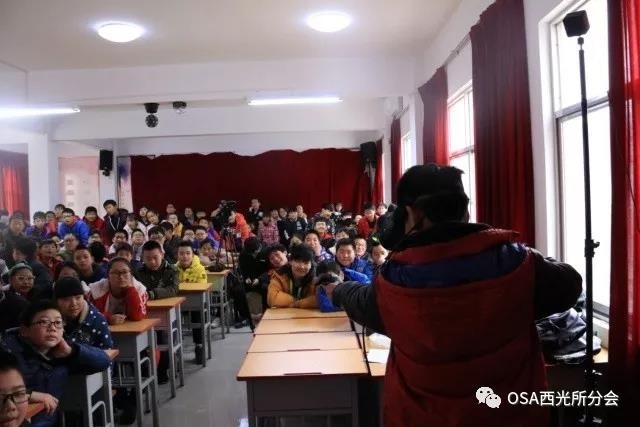 Then they went to the middle school at countryside of the county immediately after the simple lunch. The vice president of the school, Mr. Xuelin Chen, vice dean, Mr. Zaibo He and the team leader of the 7th grade, Mr. Yongbo Liu held warm reception to the team and had a brief introduction about the middle school. 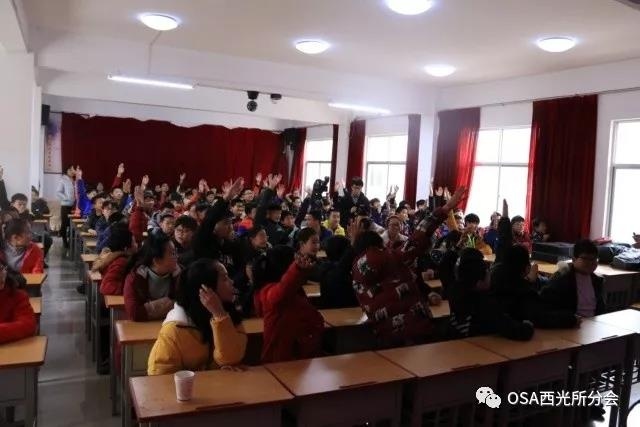 At the beginning, Mr He introduced the student chapter to the attendees including several teachers and more than140 students, they welcomed the team with great enthusiasm. 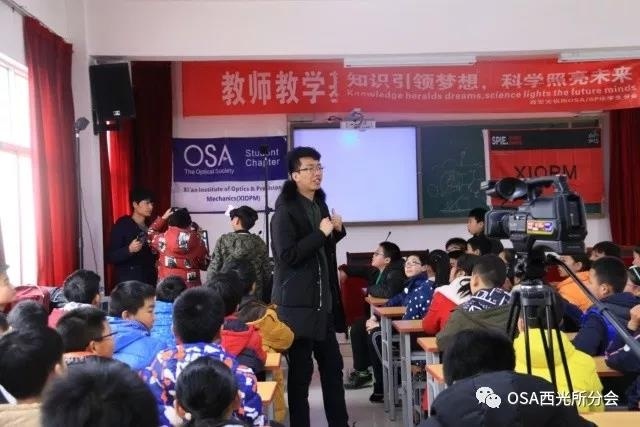 President of the student chapter, Xingfeng Wang illustrated about the background and purpose of the activity and also conveyed thanks to the middle school. 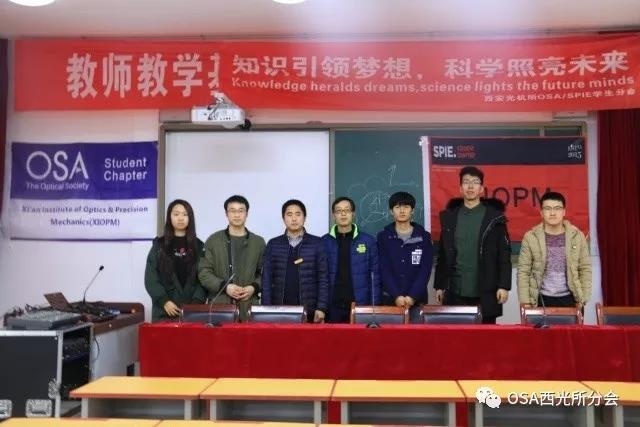 After the introduction, Xingfeng Wang, Meiling Chen, Chaomeng Kang and Liang Han introduced the optics knowledge in Chang’e moon exploration engenering, the magical material world, VR(virtual reality) technology, respectively. The students also experienced the VR tech, hope they could feel the magic in optics. 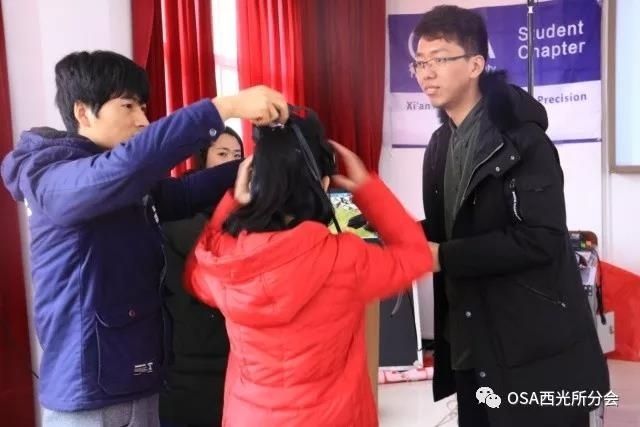 During the process, the team used many vivid analogies to simplify the abstract concepts the those without professional background, which made the students more interested in science, especially in optics and its related knowledge. In the Q&A session, the students were creative to bring about many interesting questions, the team gave them answers with both simplicity and profession. At the last, Mr. Liu concluded about the activity, highly praising the success that the team made during this lecture and the students gave the warmest greetings to the chapter. With the students be more interested in optics and wish them be happy everyday!